In a year, full of upsets that range from the world of sports to the Presidential Election, the Pitt Panthers decided to play on the wrong end of the latest upset as they fell to the Duquesne Dukes 64-55 in the this year’s version of The City Game. In front of a packed PPG Paints arena crowd the Panthers looked like the team that’s been outplayed the last 15 years, and the Dukes looked like the team that was ready for bigger and better things. They hustled, played defense and shot the ball at an amazing pace. It was enough to justify ESPN for showing this game, and justify why this game will continue to be played at the PPG Paints Arena. This victory just added more drama to this rivalry. Meanwhile, the Panthers will leave PPG Paints arena wondering ‘What just happened?’ Just three days after a stunning 73-59 victory over previously-undefeated Maryland, the Panthers truly got their hats handed to them, and most of it was their fault. 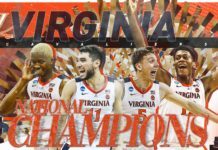 They were sloppy, missed several baskets, and they appeared to leave their defense back at College Park, Maryland, the scene of their biggest upset of this young season. Several Pitt players didn’t show up for this game, including leading scorer Mike Young, who looked like the freshman from 3 years ago as he stumbled to 19 points on 8-21 shooting. 15 of those points were in the first half, only 4 in the second half. Young was also sloppy, letting the ball slip out of his hands in the paint as well as looking like his mind was anywhere but on the court as the Duquesne defense swarmed him every time he touched the ball. In the second half, he looked frustrated and lost as he tried to force shots, which led to misses. 3-point specialist Cam Johnson also looked out of it as well as he was only able to convert one 3-point basket and finished 1-7 for the game. He was an abysmal 5-14 and finished with 14 points. The rest of the team combined for 22 points and the team shot 33.6 % overall. But what hurt the Panthers the most was the absence of their second-leading scorer. 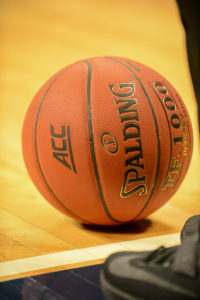 Jamel Artis, who averaged 19.7 points leading up to this game was suspended for failing to uphold the standards of a University of Pittsburgh basketball player. “It’s an honor and privilege to represent the University of Pittsburgh on and off the court,” Pitt HC Kevin Stallings said in a press release “Jamel failed to meet our high standards, and we have addressed the issue internally. Missing a game as a senior is a tough lesson to learn but I believe he will be better as a result of this action. Jamel remains an important part of our program, and we look forward to his return to form on and off the court. As painful as it was for Pitt not to have Artis on the court was probably just as painful for Artis watch his team fall to their city rivals in an ugly fashion. Like an underdog in a boxing match, the Dukes had nothing to lose and played like it as they stormed to an early 8-6 lead off two 3-pointers from leading scorer Emile Blackman and Nakye Sanders. It wasn’t so much the lead as it was the fact the Dukes were ready to battle against the Panthers. But then the Panthers came around with baskets by Young and Chris Jones, enabling the Panthers to take a 10-8 lead, but back came the Dukes as Blackman hit a 3-pointer, giving them an 11-10 lead. The lead would change several times, before Young’s layup would put the Panthers up 20-18 and then they would go on a run that would eventually give them a 27-18 lead with 5 minutes left in the first half. Usually, that would be enough for the Panthers to begin putting the Dukes away as they’ve done the last 15 years, but Duquesne decided that it wasn’t going to happen this night. After Sheldon Jeter’s 3-pointer had extended Pitt’s lead to 30-22, the Dukes stormed back. Baskets by Mike Lewis II, Sanders, and Blackman, stunned Pitt as they closed their lead to 30-29 at halftime. Young looked so confused that he couldn’t get to the basket as time expired. In the second half, Young did make a layup to extend the Panthers lead to 32-29, but back came the Dukes as they took a 35-32 lead thanks to baskets by Blackman and Sanders. Chris Jones would then score two baskets to give Pitt a 36-35 lead but once again, back came the Dukes as Blackman hit a 3-pointer to give them a 38-36 lead over Pitt. Then Lewis and Smith would add to their lead with baskets, and suddenly Duquesne had a 42-36 lead with over 14 minutes to play. Jeter would then get the Panthers closer with two free throws, but then Lewis would deliver a blow to Pitt as his 3-pointer would extend their lead to 47-40 before Stallings would call a timeout to gather his players. Then Pitt mounted a comeback as they close the Duke’s gap to 47-46, but then Rene Castro would extend the Duke’s lead to 50-48 when he hit a 3-pointer. With over 4 minutes left to play, Pitt trailed Duquesne 53-51 when Lewis took over and put this game away as he scored the next few baskets to give the Dukes a commanding 58-51 lead. While Pitt was wondering what happened to their shooting, the Dukes were making one basket after another. A dunk by James and two free throws by Blackman helped seal the Dukes surprising 64-55 win over Pitt, and as the buzzer sounded, the Duquesne fans stormed the court and raised the City League trophy which has been in the Panthers possession since 2001. And is now in the hands of the Dukes who celebrated like Pitt football’s fans did when they pulled off that huge upset over Clemson a month ago. Blackman finished with 21 points Isiaha Mike led with eight rebounds. As a team, Duquesne had 13 assists and was 8 for 26 from 3-point range with four from Blackman. Such a victory should be a confidence booster for the Dukes as they continue their non-conference schedule and prepare for conference play in the Atlantic 10. 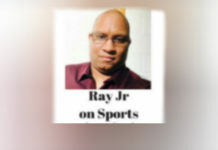 Ray’s take: To be honest, it was easy to overlook this game because of Pitt’s 15-year success, but I should’ve known that an upset was possible as I stand on the fact that you should never underestimate a team, no matter what their record is. I honestly think the Panthers overlooked the Dukes the same way that Mike Tyson slept Buster Douglass in that infamous 1990 loss that cost Tyson the Heavyweight Title. Like Tyson, Pitt wasn’t ready to fight, and like Douglass, the Duke were ready. Ergo the underdog won. To the victor goes the spoils. I’m disappointed in Young, who didn’t look like the leader that he should be. He looked lost and embarrassed that his team was losing to a team like Duquesne. And like a leader, when he goes down, so does the team and so did the Panthers. I’m mad at Artis as well as his selfish off-the-court acts hurt his team and helped cost them this game. As well as Chris Jones played, it didn’t have the impact of a Jamel Artis and sadly Cameron Johnson had a bad game especially from 3-point range. But alas, it’s only one game, and it’s a non-conference one at that, but it is truly an embarrassing loss for Pitt as they now need to lick their chops, regroup and get ready to continue their season as they resume play Wednesday, December 7th vs. Buffalo at the Petersen Events Center. 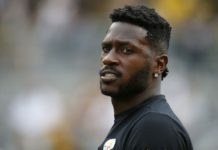 I think Pitt will be ok. Any experience that one learns from is never a bad one, but this will indeed be quite the experience for Pitt. But they will be all right. Congrats to the Duquesne Dukes on a big win.